Answers to all [most] of your questions. Pastor Chuck & Skye Scroggs have been in the ministry for many years. 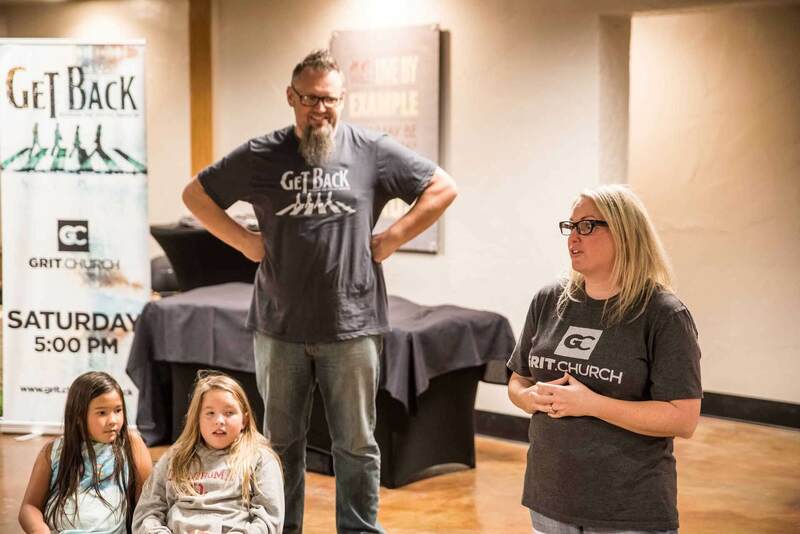 After seeking God for direction, they felt called to start a new church in Yukon, OK. Grit.Church was born in the heart of a passion to see stronger men and women of faith living it out in their community. Spiritual growth is important to our lives. Discipleship is imperative. The mission statement of Grit.Church is to grow people through spiritual community. As a new church, we are excited to reach out into our community and help people win. We pursue authenticity and honor God by being real with others. We stay curious and creative to reach those who don’t know Jesus. We have generosity that redefines how people look at church. We express unconditional love that changes the world around us. We enjoy life and allow good humor to be medicine for the soul. We are created to serve in our giftedness through the local church. We are one part of God’s church and support his work everywhere. We believe that the most important message of the Church is about Jesus, his death, and resurrection. He died for you to take away your sins so that by faith you can be made right with God. There is nothing more important and central to our lives than this. Love. Love is the most important commandment. Love God and love each other. Jesus said that all the writings of the old testament hang on these two commandments. We will be known by our love. We believe the bible is God’s anointed words, without error, written by different men who were inspired by God. It teaches us right and wrong and corrects us. The Old Testament points to Jesus while the new testament gives account of his life on earth and the beginnings of the same Church we are a part of today. We believe there is one God. He is the creator of of the universe and has existed forever in three persons referred to as the Trinity. God the father, God the son, and God the Holy Spirit. We believe salvation is a free gift from God that cannot be earned. We can’t work for it but we accept it by faith. We believe that baptism is a symbolic way for us to show the world that we are new people because of what Jesus has done in our life through his death, burial, and resurrection. People are the most important thing. We can’t do life to the fullest without others. Creating a comfortable place for people to gather also makes it easy to ask them to come. If we don’t grow in scripture and understand our spiritual walk, we might as well just be a club. Prayer guides us, keeps us connected to God, and moves heaven to get involved in our lives. God called us to love. Even Jesus didn’t come to condemn the world, but that the world would be saved through him. The bible gives us importance in clear communication with each other. We will keep each other accountable to the mission and vision of the church while speaking in the love and spirit of God. We are all a part of the body of Christ. God created us each with a special purpose and design to fit in his work. Leaders left unto themselves are never as strong as those who are mentored and poured into. Although there are churches who take this to the extreme, we will honor God with our whole heart, soul, mind, and strength in our worship and love for each other. Every follower of Christ on earth is a part of God’s church. Therefore, they are a part of Grit.Church and we are a part of them. This is what we refer to as the “capital C” church. If anyone struggles with our core beliefs and direction of God’s call on Grit.Church, we will encourage them to find a church that better fits their specific calling in God’s kingdom and send them on with love and compassion. Grit.Church is a non-denominational church in Yukon Oklahoma. We are excited about new churches in Yukon and support the local church as a whole here and other parts of the world.